We decided to spread some sunshine on a rainy day! We made construction paper suns, wrote “You brighten my day” and passed them out. This activity was a favorite. We practiced handwriting, cutting, and, best of all, spread some happiness! We got the idea after reading The Rain Came Down by David Shannon. It’s about a rainy day that brings everyone down: animals yelping, people bickering, traffic jammed. But then the sun comes out brightens the day and restore peace. After reading this book, we decided to spread some happiness and give people sunshine. So we made suns to pass out to people who brighten our day! We first cut out yellow circles and orange flames. I traced the shapes for my son to cut. I wrote “You brighten my day” on the circles in chalk, for my son to trace in marker. And we rubbed a bit of the chalk off. Then we glued the circles onto the sun backs. And chose the people whose days we wanted to brighten. This time we gave them to 2 neighbors, my grandmother, and my son’s preschool teacher. Do you have a favorite David Shannon book? Leave a comment below! If you are a blogger and have a post about an activity to accompany a David Shannon book, link it up below! 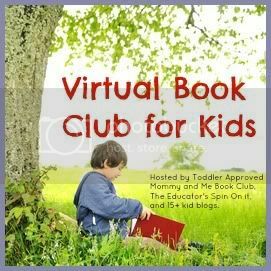 Link up only posts inspired by David Shannon that share children’s book inspired crafts, activities, recipes, etc. Any other posts will be deleted.